The first thing we noticed is that optimum tracking depth range seems to be quite narrow, as you can notice at the calibration process before the tracking starts (you have to match the initial pose quite well). The second one is that the modest specs of the hardware used heavily affect the effectiveness of the tracking, probably because the time that it takes to make the calculations some frames get lost, thus making bigger differences/distance between consecutive analysed frames. The library is available in the OpenNI middleware section, unfortunately only for the 2.0 version of OpenNI's library, that only works with licensed SDK devices (Asus Xtion and Kinect for Windows, but not regular XBox Kinect). We will try to make it work modifying the provided examples, feeding the tracking library with data from freenect, and letting it use OpenNI 2.0 just for the calculations. I am doing my final year project, and I tried this library once. The demo ran well, but when I tried the library with sample code, it was stuck at the initializing instance forever. Have you tried the library? if yes, did you encounter anything like that? I encountered problems my self because it is ment to be used with OpenNI 2.0, which works only with licensed sensors like the Xtion or Kinect for Windows. However, the people from FORTH that developed the library told me it should work with the XBox Kinect modifying their example to use OpenNI 1.5 for capturing and pass the captured frames to the HantTracking library, which would then use OpenNI internally for the tracking calculations. I started to do that but, after running the demo and seeing that our workstation's CPU/GPU wasn't enough to get a fast tracking response, I forgot about it. I use a Kinect for windows with OpenNi2 myself, but still stuck there. Our lab's CPU/GPU is just so-so too, but I hope to get some results before ordering a better GPU. I think I'll try it later. Thanks very much for your reply. resolution (640x480) with the depth mapped on the RGB. you could adapt them to work with OpenNI1.5. setSensorParameters method of the HandTracker class. 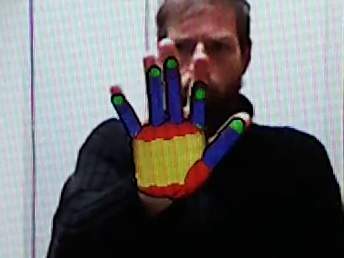 The 3D Hand tracking Library team." I am having the same issue, having copied the OpenNI2/Drivers into the project directory, I am now receiving the error 'DeviceDriver: The library handle is invalid for file Kinect.dll". This occurs for all of the driver files. Do you have any idea how I can resolve this? I realise this article is two years old! Hmmm... sorry, as you mentioned, it has been a long time and I just tested the library's functionality once. 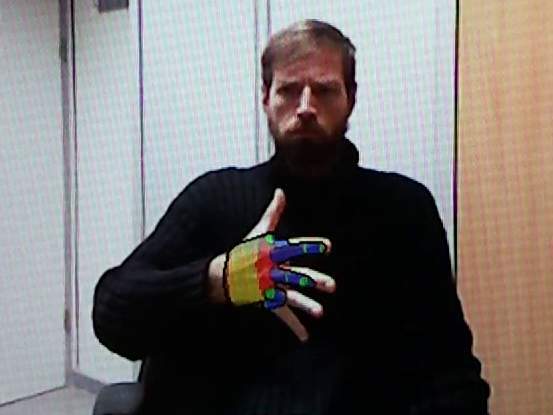 Microsoft recently published a related article:http://research.microsoft.com/en-us/projects/handpose/, don't know if there is any library though. I am having the same issue, having copied the OpenNI2/Drivers into the project directory, I am now receiving the error 'DeviceDriver: The library handle is invalid for file Kinect.dll". This occurs for all of the driver files. Do you have any idea how I might resolve this problem? I realise this article is two years old! I copied all the files located in "C:\Program Files\OpenNI2\Samples\Bin"(you may have OpenNI2 installed in a different directory) and placed them inside the folder where my executable was located. Then I ran the executable and everything worked out just fine. Of course, you don't need all the file inside the Bin folder. For instance the files relevant to the examples located there are not needed.